What if every single child had the opportunity to reach their full potential? What if we all came together to do better for all our kids? When we rise for our kids, we all rise. Together, we are beginning to make a difference. Our purpose is to bring together people from all backgrounds, incomes, ethnicities, beliefs and neighborhoods to forge a path to real and meaningful equal opportunities for every child in Duluth and Superior. When you sign the petition, your name will be added to this list. If you would prefer to remain anonymous, please type “Anonymous” as your name in the field. Your email address is required, but you will not receive any emails unless you select the box asking to receive updates. There are hundreds of ways to get involved—whether you have an hour a day or an hour a month. Donations are always needed and welcomed. They will make an impact on the children in our community. 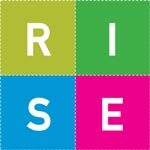 We invite you to give your voice to educate people about the Opportunity Rising initiative. To break down barriers we must understand one another, and to do that we must get to know one another.